As scientists have learned from working on diseases like HIV and tuberculosis, sometimes the best way to develop a new therapy is to think about how it might work in combination with other therapies. In order to do that, it’s important to identify, visualize, and modify new targets so a disease can be attacked from multiple vantage points. David Jeruzalmi, professor of chemistry and biochemistry in The City College College of New York's Center for Discovery and Innovation, and his team have identified and visualized a three-dimensional model of a new target and a helicase protein that can modify it – opening and closing it (like a vault) at the origin of DNA replication. The National Science Foundation has issued a $945,000 grant to fund the project as well as four years of follow-on studies related to the helicase protein. The project is entitled "Molecular Mechanisms of Bacterial Helicase Assembly and Activation at a Replication Origin." Jeruzalmi’s team is one of the only groups working on this particular new target. So their ability to visualize the target and how the protein can modify it could provide a new potentially powerful arrow with which to attack the target. Two doctoral students, Jillian Chase and Silas Harley, are contributing to the research. 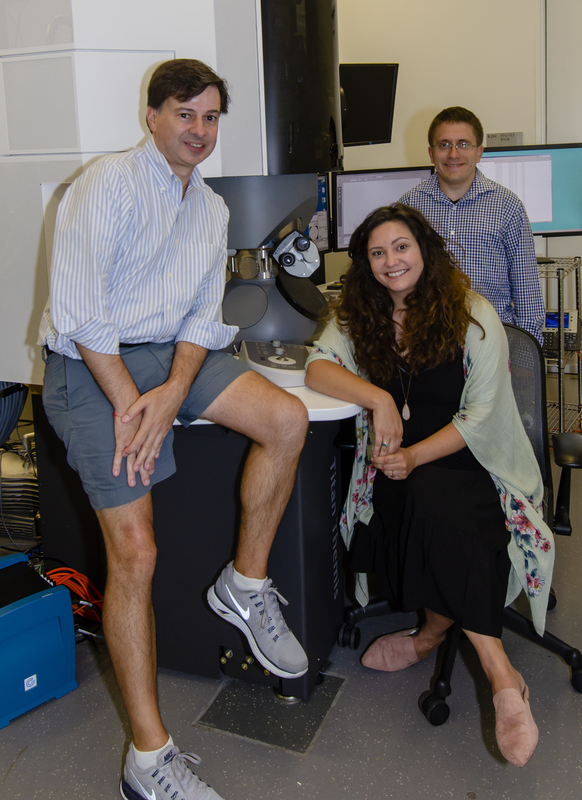 “The award owes a lot to the New York Structural Biology Center, an independent facility on CCNY’s south campus which houses a large collection of electron microscopes, and excellent personnel to assist in their use. We couldn’t have gotten this far without ready access to this unique resource,” said Jeruzalmi. It's estimated that 95% of the new drugs approved in the last 16 years were highly correlated with being able to visualize the 3-dimensional structure of the target. This means that scientists who use Jeruzalmi’s basic research in the future to help them develop new drugs could have an increased chance of approval.